Brushed Stainless steel case, with polished finished stainless steel bezel. 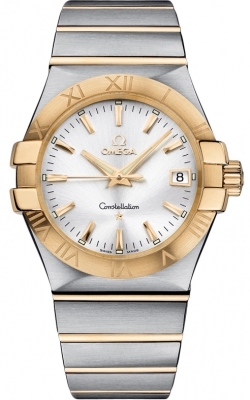 Polished 18kt yellow gold bezel screws & crown. 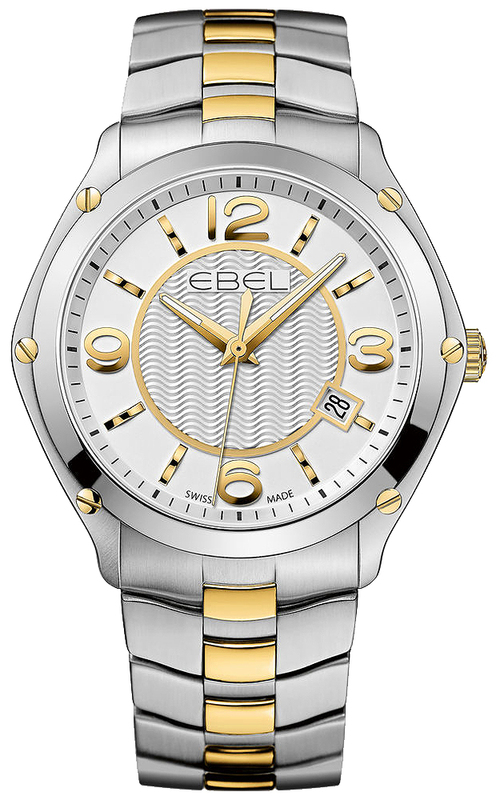 Silver dial with center wave guilloche texture pattern. Applied polished yellow gold hour markers in a combination of indexes & Arabic Numerals. Date displayed at the 4 o'clock position. 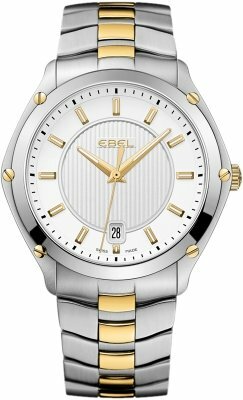 Ebel caliber 955 quartz movement.